What better way to recover from a hot day of doing user counts on the Erie Canalway Trail/Mohawk-Hudson Bike-Hike Trail than a hot coffee and a snicker doodle at the Brakes on Lark? After the sun shifts a little, the outdoor seating is a perfect spot to (see earlier post) to capture some images for Albany Bicycle Coalition’s“riding in Albany” scrapbook. 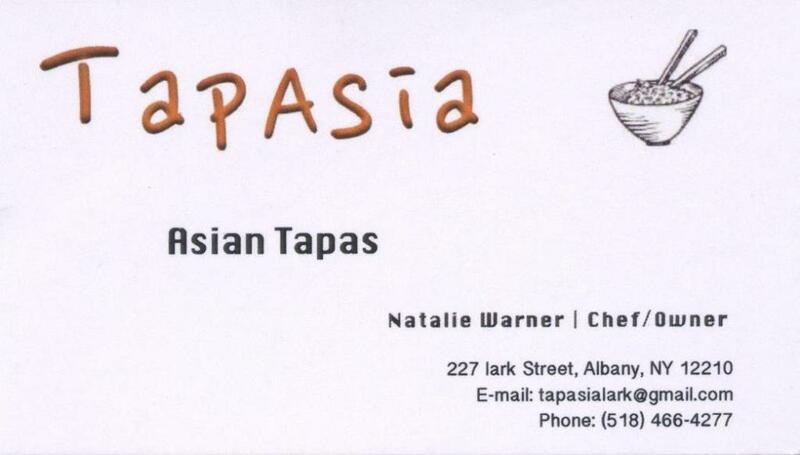 But wait – just when leaving Brakes, who should appear but Natalie, the owner/chef at Tapasia – an Asian tapas soon to open on the lower level in the Brakes building. 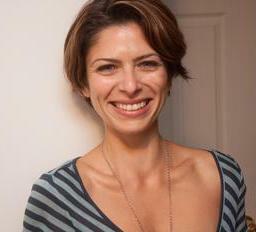 Natalie described her riding experiences in Chicago where she lived for some time – and contrasted them with the scary situation she found in Albany – riding to the HWFC, Trader Joes, Whole Foods, and so on. Natalie was enthusiastic about the Madison Avenue Traffic Calming Protected Bicycle Lanes project, as it will help her new venture. Never idle, Natalie and husband – who has extensive experience riding in Burlington with its pedestrian “mall” on Church St. and who asked when Lark St. would be car free – stopped at the Protected Bicycle Lane Coalition sign-up table in front of Upstate Artists Guild on 1st Friday. Protected Lane Sign Up – Have You? 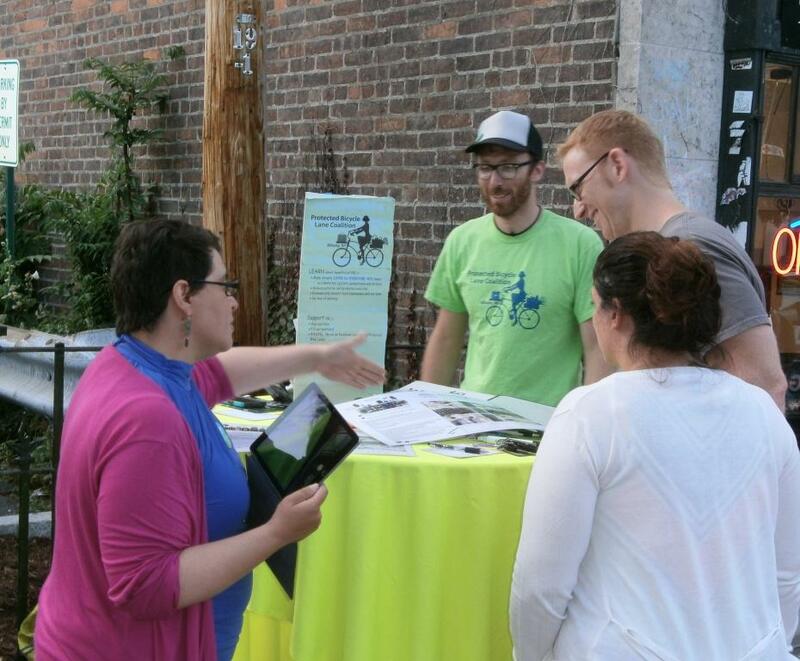 UAG hosted the Protected Bicycle Lane Coalition booth on both the 7/3 and 7/7 1st Fridays as part of its community support mission and to enhance walk ability of the City of Albany. But wait again – Brakes is now complemented by the new Healthy on Lark vegan restaurant (in the old ‘Lil Buddha spot). At both spots, you’ll find great food and a pleasant atmosphere. But wait some more – The well-established Hudson River Coffee House at Quail and Hudson is now branching to Delaware Ave. in the former Tierra/Ultra Violet site next to one of Albany’s gems, the Spectrum 8 Theater. Once again, a nice dinner with a movie to follow will make a nice “evening out.” Hudson River Coffee House opened in 2010. Owner/operator Anton Pasquill, who expressed enthusiasm about coming to Delaware, will bring his years of experience to remodel and operate the new location. He even bought a motor vehicle! It’s just too much to absorb . 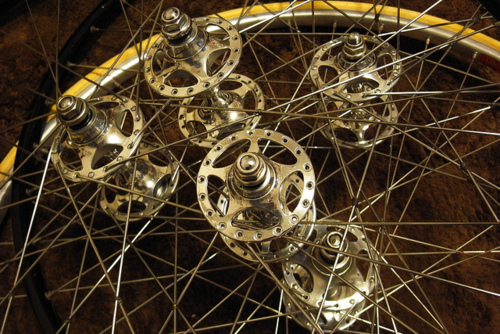 . .
1st Friday Gallery Spin – Live in Albany! With renewed effort by the Capital Cyclist Meetup Group coordinator and the new 1st Friday director, several riders enjoyed a balmy fall ride through the welcoming streets to tour the art sites. Per custom, we met at the 1912 Soldiers and Sailors Memorial in Washington Park and then headed out for the ride’s traditional start at the Upstate Artists Guild for the Grey (or “Gray”) show. The always-elegant ladies of UAG greeted us warmly as the gallery filled with other art aficionados. 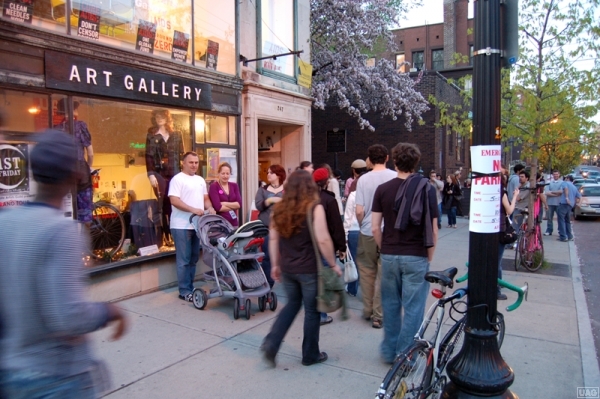 After being joined by another rider and some chitchat on the crowded sidewalk, it was off to the College of St. Rose student gallery on State St. to view some excellent studio work. With wonderfully pleasant evening weather wise for riding, we took a cruise through Center Square and Washington Park over Lake Ave. to the Opalka Gallery at Sage College. The show – a knock off on the 1913 New York City Armory Show is not to be missed. Local artists Ken Ragsdale has outdone himself – better check it out. Another rider joined us here for the best hors d’oeuvres in Albany and packed gallery. At this point, two riders headed off to meet another at Franklin Towers with the remainder going to Crisan pâtisserie for some “edible art” (their tag line). We enjoyed pastry, gelato, and late evening coffees in this bright and cheery Albany venue. If you have not been to Crisan, you have not lived a full life. It will be one of the cornerstone destinations when the City of Albany converts Lark St. into a pedestrian walkway/mall a la Burlington or any other advanced city. Can’t wait! While in Crisan, we waited out a brief, cleansing rain shower by solving many cycling issues (electric bicycles, crazy drivers/riders, road design, going to Europe, traffic safety, etc. 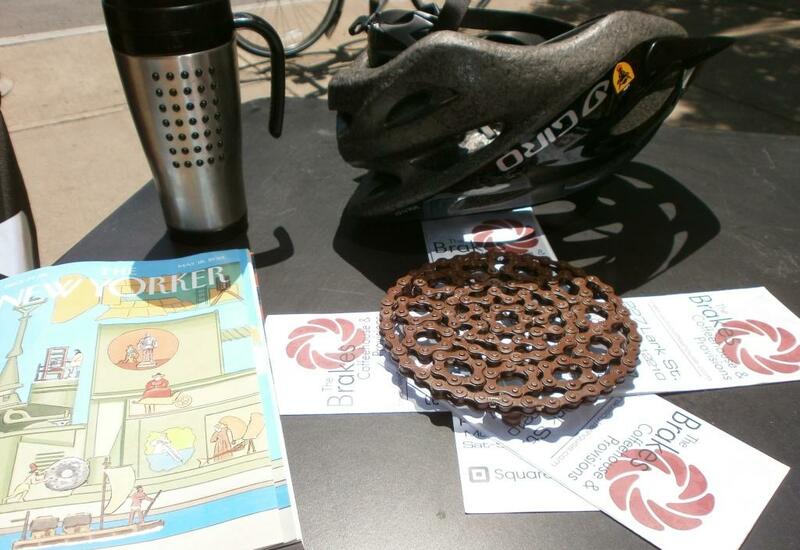 ), planning Bicycle Expo 2014, and enjoying good company. As a closing note, one of our first-time riders used a combination of his neat-o touring bicycle and CDTA’s bicycle buses to join us from Cliflton Park. 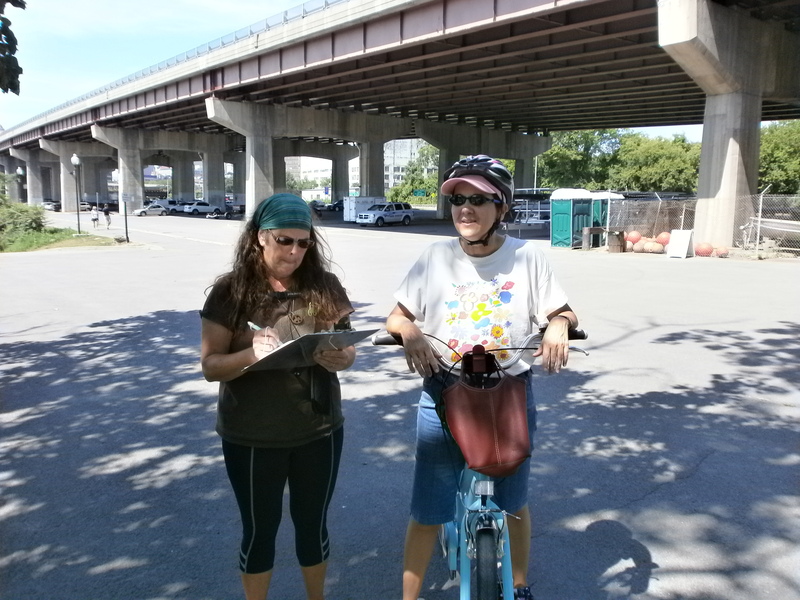 It is riders like this who will help Albany become a truly bicycle friendly community. The next 1st Friday will be on November 1, 6-9 PM with many post-event entertainment, socializing, and dinning opportunities. Why not “get off that couch,” grab your lights and helmet, and join in? Even if you are not a big art fan, this is a great way to enjoy the city and its opportunities for riding as well as being with some nice people (with our without bicycles). Art and (Bicycle) Access – 1st Friday Gallery Spin and Bicycle Boulevard Mapping – A number of new 1st Friday Gallery Spin riders plus some regulars departed the Soldiers and Sailor Monument in Washington Park for the traditional first stop at the Upstate Artists Guild. The show there, “Fashion and Art,” was a real treat with live models/mannequins showing off some of the wearable entries. There was a nice array of fashion-themed 2-D art in the main, back, and side galleries, all augmented by a DJ. We next zipped out Delaware Ave. (love those shared lane makings and signs!) to disrupt the diners at Mingle by examining an impressive mix of paintings and photographs (including one bicycle-themed piece). On the way, we waved to baby Indiana and her parents, Laura and Perry, longtime cycling advocates. We were then off to the Opalka Gallery for a must-see show featuring John Van Alstine, “Arrested Motion/Perilous. Do not miss this one (ends 10/14/12). Our last gallery visit was the Massery at College of St. Rose for the closing night of the Art and Design Faculty Show. 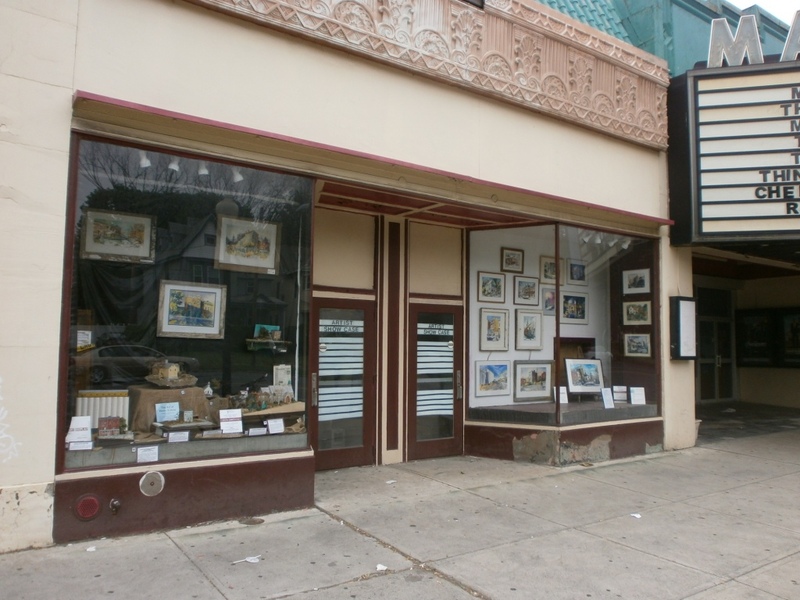 As one of our riders expressed interest in displaying his art in Albany, we checked out the Madison Theater windows where the theater and the Beautify Upper Madison Avenue Project sponsors installations by local artists. There we saw Matt Ramsey’s commissioned piece for the Upper Madison Street Fair, “When We Destroy the World Around Us, We Destroy Ourselves” and an installation by Kimberly Marks of College of St. Rose student entries to the Street Fair poster contest. 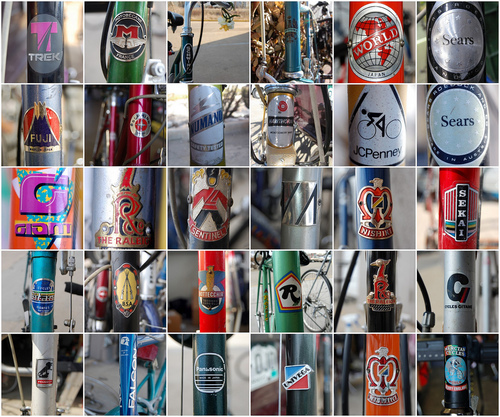 (As a side note, the Upper Madison Street Fair – 2012 will feature an Exotic Bicycle Exhibit . As an add-on to this 1st Friday Gallery Spin, we were committed to reconnoitering Berkshire Blvd. and connecting city streets. Berkshire Blvd. is designated officially in the Albany Bicycle Master Plan (page 39) as a “neighborhood bikeway. Our interest was to explore the possibility of its being the main spine of a bicycle boulevard connecting the western extremes of the city to downtown. As a bicycle boulevard, this would be a low-volume street optimized for bicycle travel by traffic calming and diversion, signage and pavement markings, and intersection treatments. 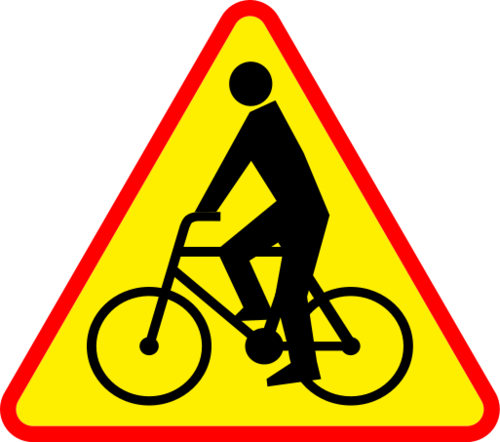 Bicycle boulevards are shared roadways that are comfortable and attractive to cyclists with a range of abilities and ages. Ideally, they are inconvenient as through routes for automobiles. Bicycle boulevards serve major origins, destinations, and travel corridors and should be as direct and intuitive as possible. As a residential roadway, Berkshire Blvd. already has low motor vehicle volume and could serve well as a bicycle boulevard. As with many bicycle-focused improvements, there would be spillover benefits to the Berkshire Blvd. community – less speeding, more quiet, enhanced walk-ability. After circling one of Albany’s gens, Buckingham Pond, we headed out Berkshire, crossed Russell Rd., wound through Albany’s 15th Ward, rode trough parts of Bethlehem, and ended up in Guilderland looking across Western Ave. to the glare of Crossgates Mall. The route we rode – which avoids the high volume/high speed Western Ave. completely – presents political challenges (impact on motor vehicle traffic) and jurisdictional issues (it encompasses streets Albany, Guilderland, Bethlehem, a town park, and some private property). Our Riders were Sebastian, Jim, John, Filipe, Keith, Paul, and Lorenz. It was a little chilly, but clear and dry for February’s 1st Friday Gallery Spin bicycle ride. Lark Street was humming with lots of walkers and gawkers and some great exhibits. Albany Bicycle Coalition’s own Bob Anderson was the featured artist at the Upstate Artists Guild gallery with his photography exhibit of rescued puppies and dogs. UAG generously made this a 50/50 benefit split between Out of the Pits and the gallery. Bob had some captivating photos of the dogs and it was great to see his efforts in supporting the cause. If you haven’t had a chance to see the Call of the Wild exhibit at UAG, try to catch it (Thr & Fri – 5:30-8:00, Sat & Sun – 2:00-6:00, 247 Lark St.). Local cyclists helped the MoHu Festival (http://mohufest.com/) toward its goal of 50,000 visitors. MoHu is a 9 day-long arts festival of happening all over Albany, Schenectady, Rensselaer, and Saratoga counties. It features theatre, dance, music, visual, and random acts of art. The two riders started out with a pre-ride visit to the Ultra Violet show the Upstate Artists Guild and then cruised back into the Park to pick up late comers (of which there was none). We lucked out by hitting the outstanding Underground Artist exhibit “Athletic Annex” during the downpour. Once again, the Underground Artists mounted an innovative and exciting show spread through three floors of the handball courts at the University Club on Dove. We next visited the Trifecta Pop-Up Gallery on Hudson, the Opalka Galley on the re-paved (thank you Albany) New Scotland Ave, and ended up at the Massery Galley on Madison Ave. (hopefully soon to be three lanes with bicycle lanes).